It is looking like that Pakistani Cricket is going towards destruction due to massive scandals, controversies, bans on players and internal team disputes and it all is happening at a time when World Cup 2011 is around the corner. a time when teams needed to be in their best form at that time Pakistan is struggling badly. from this situation Former Pakistani players like Wasim Akram and Imran Khan are really hurt. 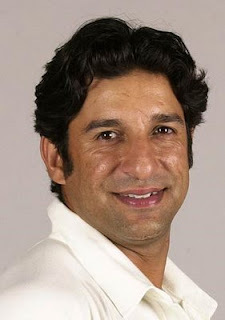 Former Pakistani Captain and King of Swing Bowling Wasim Akram has urged Pakistani Captain Shahid Afridi to unite the Pakistani for the upcoming World Cup 2011. Wasim said Pakistani players must unite and try to perform with a positive frame of mind. Former Captain urged Afridi to unite the team and solve all ongoing disputes.